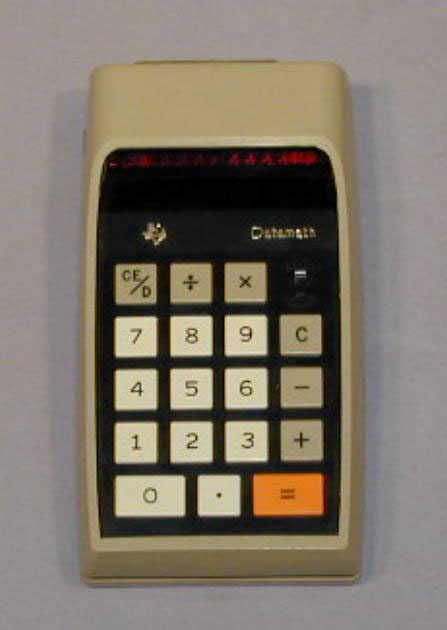 The Datamath and two desk calculators were introduced in September, 1972, and were the first TI consumer products. 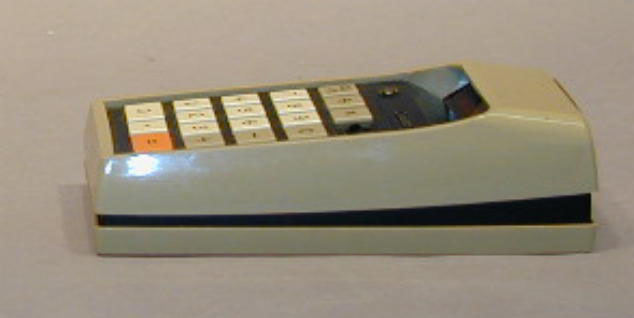 They used the TI "Computer on a Chip" IC for all calculations. These items were part of the original S/B Lobby display and the 50th Anniversary exhibit. 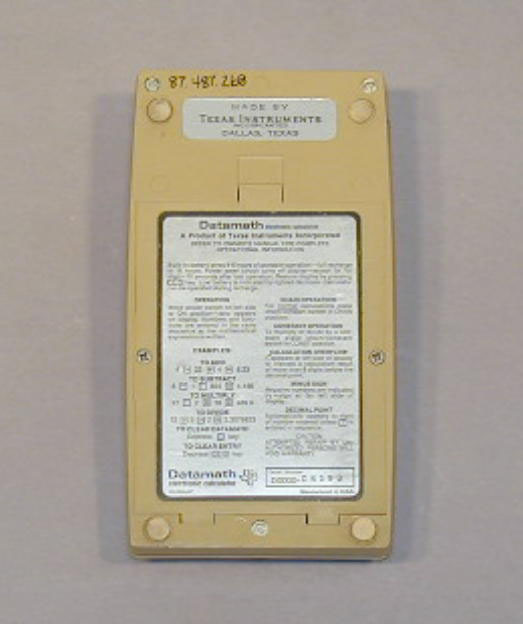 The Datamath had rechargeable batteries and a charger. 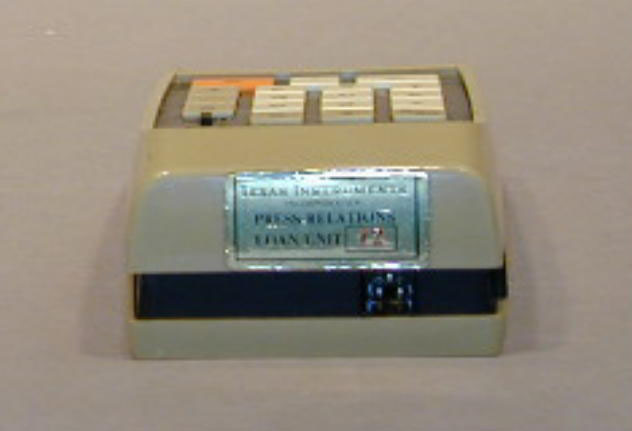 See the Press Release in the Artifacts Historical Files. Related material in collection: S00091, 121, 295, G00123.